"9th August events almost led to loss of Tskhinval when Georgian troops entered the city. Georgian infantry units supported by 40 tanks began to fortify in southern blocks of South Ossetian capital. 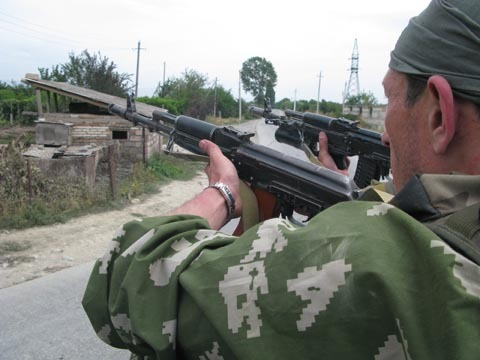 Situation was later acknowledged by Russian militants as critical because main forces of 58th army still not approached to Tskhinval after 24 hrs since combat phase have begun. Remains of S.Ossetian militia and russian peacekeepers prepared to last defence. But suddenly three MTLB army trucks and two "Kamaz" trucks of of chechen Specnaz "Vostok" under Sulim Yamadaev's command entered the city. 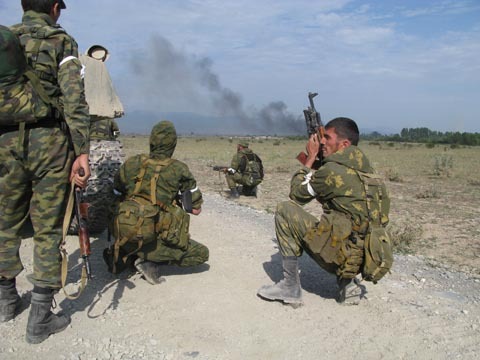 Chechen Specnaz began routine combat duties like "cleaning" blocks, hunting down Georgian snipers and artillery spotters. These actions became key for ongoing war. Opposing force, trained by NATO instructors, was unable to do anything with CQB masters from "Vostok". That's not dithyrambs to Yamadaev's troops but statement of facts. During three days I spent with "Vostok" only three Chechen soldiers were wounded but they killed dozens of Georgian soldiers and gained huge trophy. 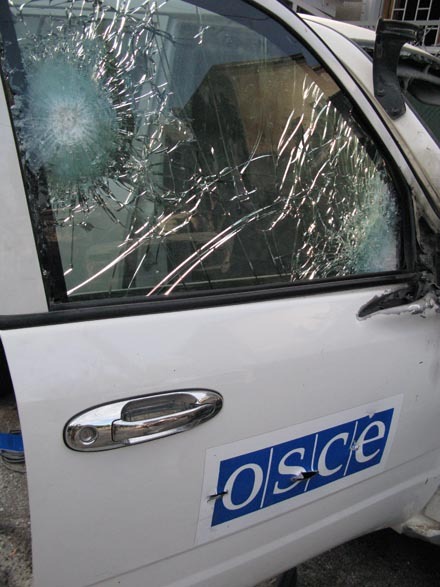 Tactically and physically high-trained Georgian militants fled in panic when came in contact with "Vostok". 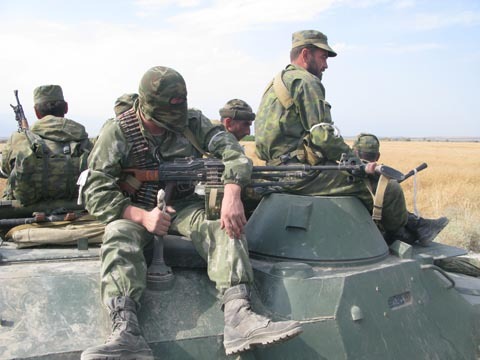 In Tskhinval Chechen Specnaz liberated civilians held in hostage by Georgain soldiers and recaptured three BTRs. "We completely cleaned Tskhinval" - said Sulim Yamadaev - "On "Paook" heights our company captured two Georgian blockposts equiped with assault rifles, three MGs, two American humvees, RPGs and loads and ammo. We've got POWs. We have a task to move deep into Georgia and we could move on Tbilisi. It's interesting for us to fight with Georgian troops because of their different training school. Let's see who's fittest. Anyway, we can't just let'em go with what have been done when they wasted peacekeepers and civilians with firestorm. We shall provide order." 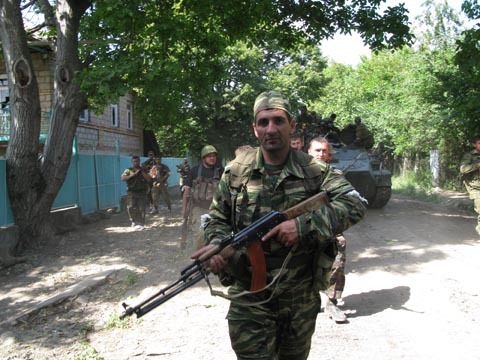 Morning, August 11th, "Vostok" troopers moved in column from Tskhinval to abandoned Georgian village Khetagurovo. Georgian assault jet was shot down right above the column after three SAM launches. Missile hit jet's tail and we've seen little white spot of parachute in the sky. Some sky duels happened during this war. For example, Russian MiG "punished" Georgian Su in the sky of former Georgian village Tamarasheni for bombing our column. Later, Georgian UAV was destroyed near Tskhinval. When our infantry took over retranslator height and began to fortify, Georgians tried to deploy 122mm D-30 howitzers. Those howitzers were blown away immediately by tank fire. Few kilometers away our reconaissance spottedGeorgian column from Kutaisi for aviation. After airstrike panic was overwhelming and Georgain reservists fled, 50 vehicles were left on the road in fire. 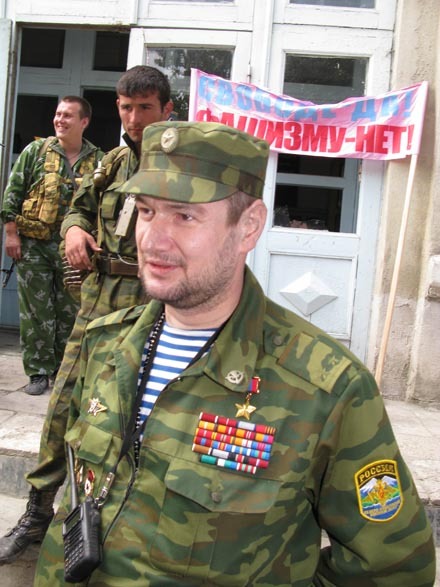 Chechen Specnaz took positions 7 km away from Gori and waited for command to move further. Through the whole night "Vostok" ambushers captured fleeing Georgian soldiers. Tons of abandoned ammunition left on the ground: in few hours batallion troopers've found some AA launchers, 5 tanks, SPGs and assault rifles, ten trucks and some jeeps. We were absouletely sure about our capability to move on Tbilisi or even Batumi. There were no emotions, no ecstasy about "easy" war - Specnaz was just doing their job professionally and spoke not much about it. 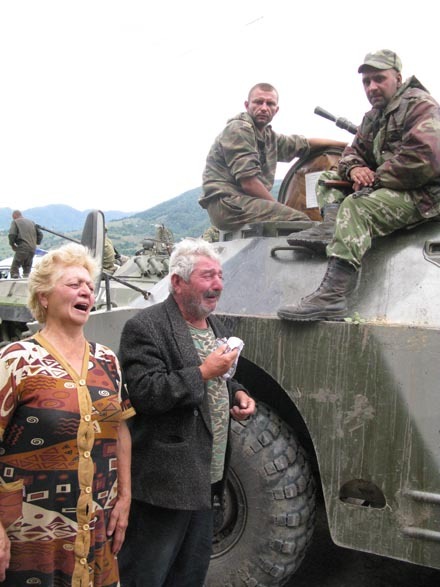 But commanders "on the top" decided mission accomplished and "Vostok" was moved out from conflict zone while in Tbilisi Georgian propaganda told people about refrigerator of Georgian soldier's heads cutted by raging Chechens because of their big casualties. Guys from batallion took it with laughs.